With the launch of Space Nation Navigator, the first ever astronaut training app, it?s become possible for all of us (not just the super smart or super rich) to train in astronaut skills and make space travel a real possibility. 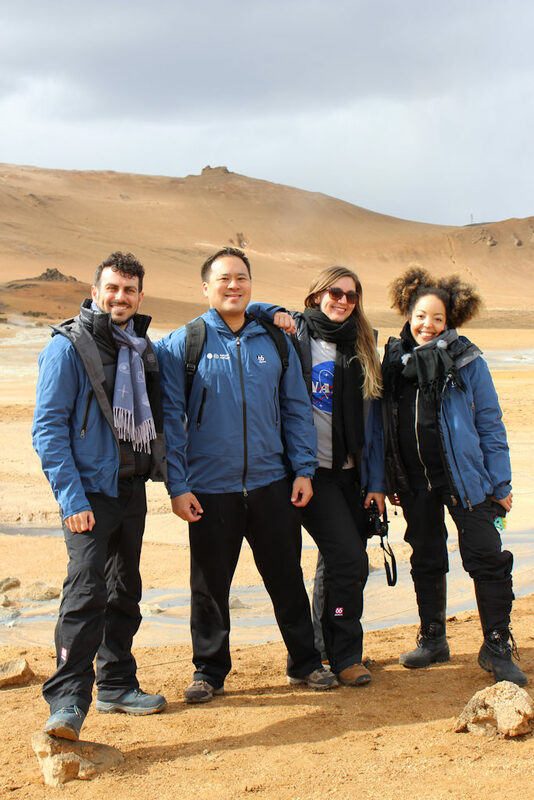 Space Nation has worked together with Axiom Space, the trainers of NASA astronauts, to turn the real NASA training into fun games, quizzes, challenges and daily/weekly missions. The app is training your ?astronaut skills?, which is not just about those skills that will benefit people that actually go into outer space, but it?s also skills that benefit people when navigating life here, down on Earth. Think about problem solving, communication, teamwork, physical skills and other personal development skills. 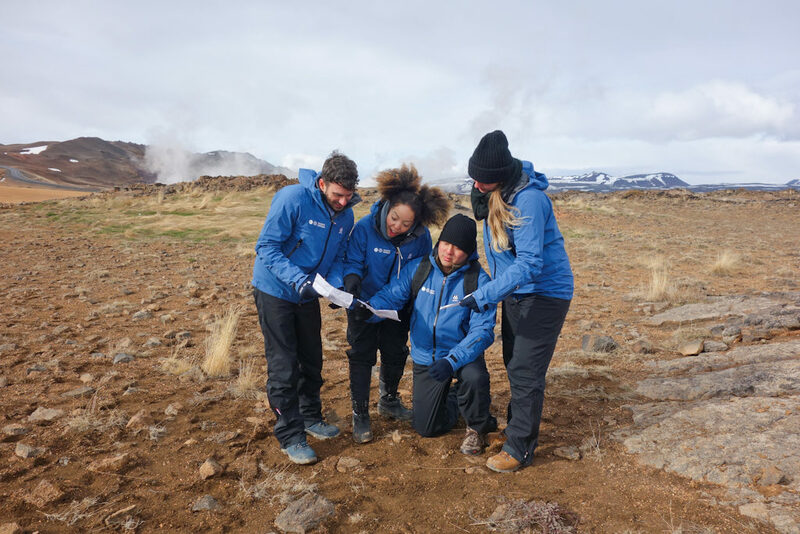 During the first real-life Space Nation Astronaut Training Bootcamp in Iceland, the training ground of the Apollo astronauts, me and three other participants were put to the test in six missions training our own astronaut skills. And I can say that we probably wouldn?t have done so well if it wasn?t for our 66?North outfits, Iceland?s oldest outdoor clothing brand. ?66?North? 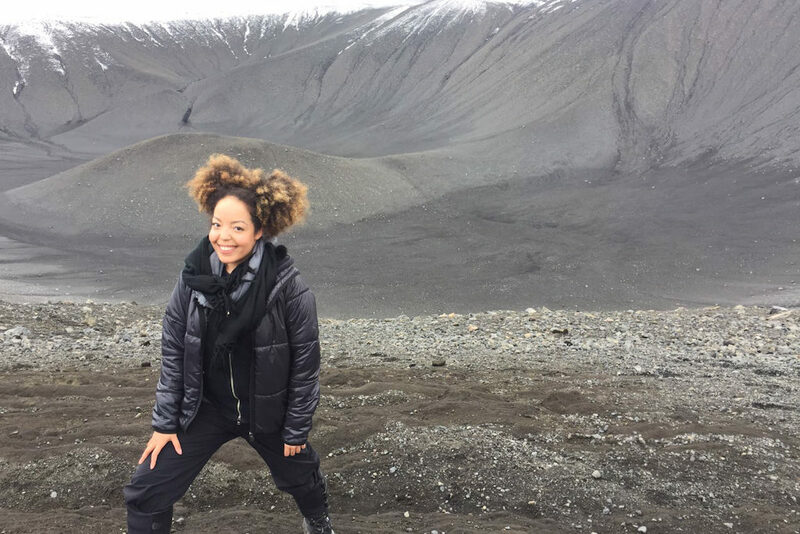 is the latitudinal line of the Arctic Circle, where the town of S?gandafj?r?ur in Iceland lies. Here, Hans Kristj?nsson founded his company making protective clothing for Icelandic fishermen in 1926. 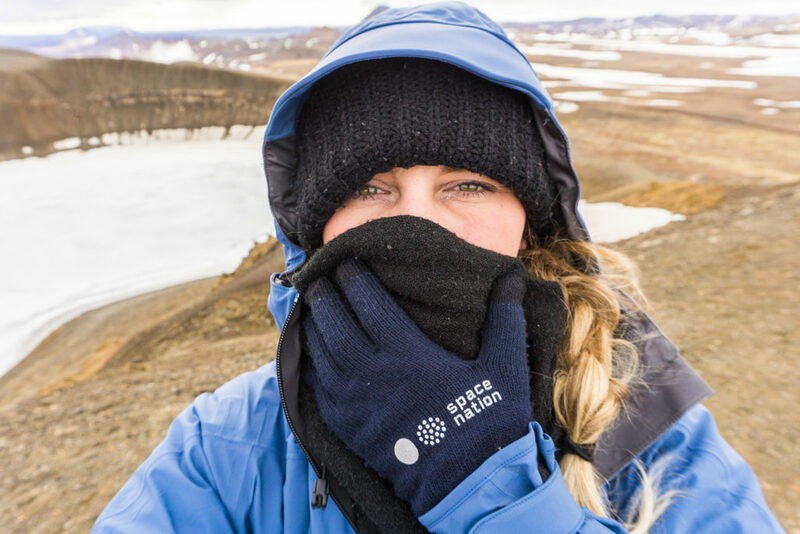 As you might know, the Icelandic weather can be pretty extreme and is very unpredictable, something we soon realized in our astronaut training. We could drive out in sunny weather, only to be met by heavy rain, wind and even snow, before seeing the sun again an hour (or even 15 minutes) later. These days, 66 Degrees North makes functional clothing for a variety of outdoor activities, but high quality and all-weather resistance is still the top priority. Did you know that the Icelandic search and rescue teams use the 66 North gear as their standard clothing? I think that says enough! 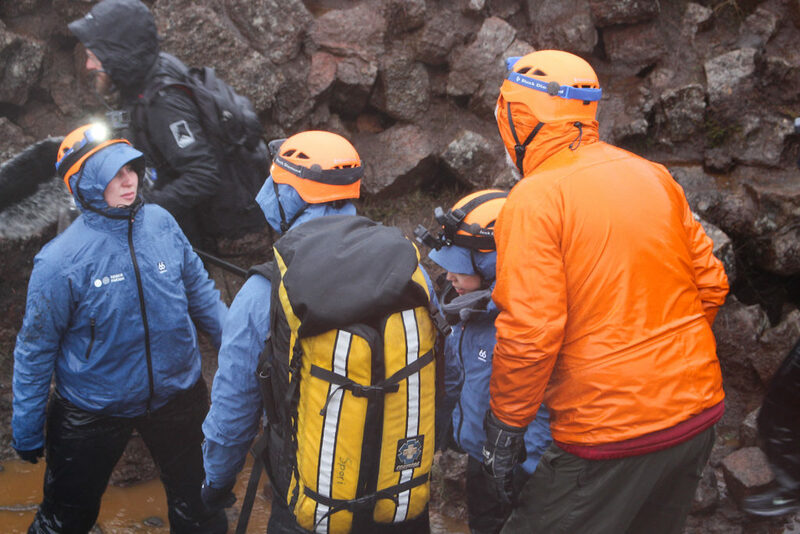 Using the 66 Degrees North Gear during our search-and-rescue mission in Iceland, enduring heavy rain and wind. We were advised by disaster relief expert and Humanitarian Advisor Gisli Olafsson and encouraged by Former NASA Astronaut Gregory ?Box? Johnson. A versatile, flexible and waterproof outdoor jacket with adjustable hood with integrated visor, two-way front zipper, two water-resistant zipped side pockets, a zipped sleeve pocket, adjustable sleeves and two small inner pockets. The ‘NeoShell’ fabric that this jacket is made out of, is developed by the company Polartec and it’s an engineering breakthrough for waterproof breathable fabric technologies. In short, it makes sure that there is air exchange at the surface, so the fabric can both stop water and wind from coming in, while still be able to let excess body heat and moisture out. 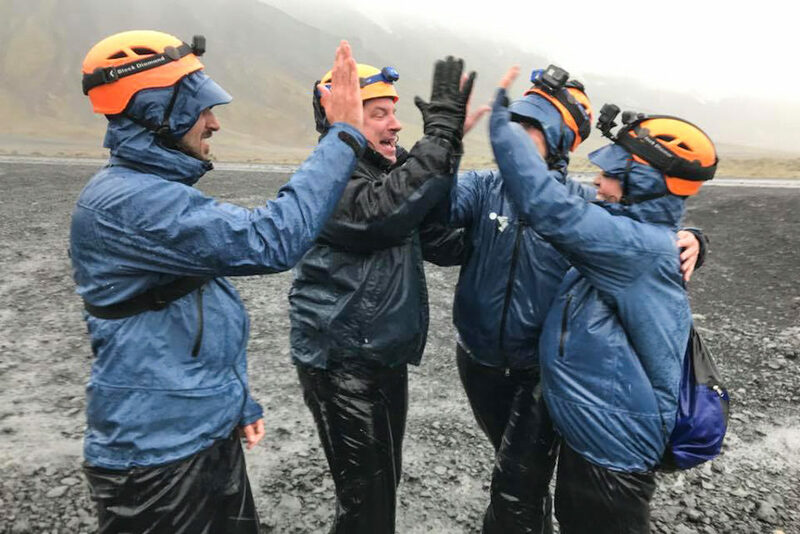 I found it very comfortable to wear during our challenges and even with the heaviest of rain, it managed to keep us dry and ventilated at the same time. A lightweight and super soft jacket that you wear under your hard shell to provide extra warmth. The jacket has a two-way front zip, two zip (?hand warming?) pockets on the outside and one little zip pocket on the bottom of the inside of the left panel. What I like about this jacket was that it is light as a feather. The shell and lining is made of 100% Nylon and the insulation is 100% Polyester, finished with a ?DWR? (durable water repellent), a coating added to fabrics at the factory to make them water-resistant. This blend of microfibres, developed by Primaloft, was originally developed to serve the needs of the U.S. Army! The fabric absorbs less moisture from the start so you stay drier and warmer all around. These outer layer pants are designed for optimum performance. They might look simple, with a small logo, no back or side/leg pockets (just a small front pocket on one hip), a black integrated webbing belt with plastic buckle and sleek looking water-resistant zippers on each of the legs, but don’t let them fool you. With the NeoShell technology (just like the hard shell jacket), you can do the extremest of activities in harsh weather, and still stay dry inside. The fabric feels soft to the touch and is really comfortable to wear, even with layers underneath. And the best thing (for me at least), was that even though the pants got really dirty, it was very easy to clean them and really quick to dry. Lastly, we were given an athletic-shaped long sleeved grey turtleneck with a little zipper in the neck, which we used as a base layer to keep us even more warm during our missions. The shirt is really supple and has a bit of a grid texture, which is because the wool is entirely woven, not glued like usual. Power Wool is the first natural synthetic-hybrid fabric of its kind. By isolating a merino wool interior and a synthetic fiber exterior, the people at Polartec developed a hybrid fabric with distinct surface features to optimize wicking, breathability and durability. The shirt has shape recovery, dries really quickly and no matter how much you sweat, you won’t smell it in the shirt! You can find 66?North on Facebook, Twitter and Instagram. Are you ready for your own astronaut adventure yet? Space Nation Navigator is available to download for iPhones at the iTunes App Store and for Android devices at the Google Play store. You can start training today!